Fiction Dreams: Guess who I've got for a chat today? It's the amazing Isabel Wolff!!! Guess who I've got for a chat today? It's the amazing Isabel Wolff!!! I think the first chick lit novel I read was The Tennis Party by one Madeleine Wickham! I was very impressed by the lightness of touch, the amusing characters and crisp dialogue and remember feeling more than a little envious. But I was working as a reporter and producer at BBC World Service and never thought I'd have the time to write a novel myself. But then everything changed. When did you first start writing Chick Lit? Why did you decide to 'branch out' into semi-historical novels instead? My first novel, The Trials of Tiffany Trott grew out of a pseudonmyous column I had in the Daily Telegraph in the late nineties which was a kind of comic odyssey through the urban singles scene of small ads, speed dating, meet 'n greet etc. The column was commissioned by the features editor, Eric Bailey, who had recognised the comic potential of such a scenario, and he asked me to write it because he knew that I was single at the time. I must say I enjoyed it because it's very human and there's a lot of comedy and also poignancy - the hope people have that they'll meet Mr or Miss Right, and the way they make themselves vulnerable in the process. Today the singles scene and especially internet dating is absolutely mainstream - more people meet their partners that way now than in 'real life', and no doubt Tiffany would be on Match.com. I'm very fond of Tiffany Trott because it was my first novel, and I'm happy to say that it still makes me laugh. My early novels such as The Making of Minty Malone, Out of the Blue, Rescuing Rose and Behaving Badly are romantic comedies of this kind with a blend of humour and pathos. 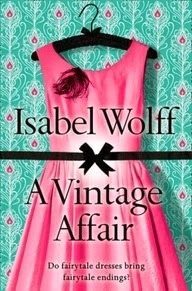 But then I began to write A Vintage Affair, and branched out. This wasn't a conscious decision; it happened because the heroine of A Vintage Affair, Phoebe Swift, runs a vintage dress shop in south London. She goes to assess a collection of clothes that an elderly French lady, Therese Bell, wishes to sell. Amongst the beautiful couture gowns is a child's blue coat, from 1943, that Therese has vowed never to part with. My heroine, Phoebe, befriends Mrs Bell and discovers the very poignant story behind this little coat, and the guilty secret that Mrs Bell has carried for 70 years - a secret that goes back to the war, and to occupied Provence. So the story naturally blended the contemporay with the historical, and I enjoyed writing it so much that this is what I have done with all my books since. It sounds absolutely amazing, Isabel. What is it about chick lit and history that appeals to you the most? Do you read other genres? If so, which? I love the blend of past and present. I feel that the historical back-story, which is usually the more serious part of the story, gives more meaning and depth to the contemporary narrative. In addition I very much enjoy doing the historical research, perhaps because I was a journalist for a long time before I began writing novels. As for what I read, it's mostly literary fiction, but I'd like to read more crime novels as this is now a very big genre and all I've ever read is a few Agatha Christies. Name one of your favourite books? A Fine Balance by Rohinton Mistry. It's about India during the Indira Ghandi years and teems with life and colour and a profound sense of hope for humanity. The four main characters are very touchingly portrayed, endlessly humorous and optimistic despite the sometimes appalling things that they suffer. It's a modern masterpiece. My latest novel is The Very Picture of You which is about a portrait painter, her sitters, and the secrets that they reveal while she paints them. It's set in contemporary London but again has a semi-historical theme as the story line goes back to the 1930s and to a scandal surrounding a society portrait painter and his wife. I've never been able to paint, but have always been very interested in portraiture. 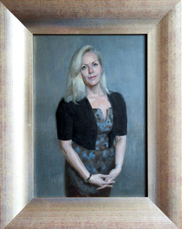 I'm awe-struck by the skill of a good portrait artist, the way they have the ability to evoke another human being on canvas so successfully that at times we could swear that this 2-dimensional image lived and breathed. To me this seems miraculous. I was also very interested, from a human point of view, in what happens in the intimate space that is a portrait sitting. How does it feel to be stared at by the painter? Do you try and hide behind a mask, or show yourself as you really are? Do you keep a discreet silence, or spill out your secrets, your fantasies and regrets? Do you talk about your disappointments and fears? In 'The Very Picture of You' the sitters do exactly that, because it makes for a good story! Writing the novel made me decide to have myself painted. It's just a small portrait, about the size of a sheet of A4, but it's by a wonderful artist, Anastasia Pollard. It was selected to be shown in the Royal Society of Portrait Painters annual exhibtion at London's Mall Galleries last year, which was a huge thrill. Is the novel part of a series? The Very Picture of You isn't part of a series, no. None of my books are - they stand alone. Sometimes I might bring in a character from a previous novel in a subsidiary role, but each time I start a new novel I start with a blank canvas. My newest novel, Ghostwritten, which will be published in the spring of 2014 is about a haunted ghost writer. It's set in contemporary Cornwall and on Java, during World War 2, during the Japanese occupation, a bit like the scenario in Tenko which was a very well known TV drama in the 1970s. The designers at HarperCollins who have published all of my ten novels. My books are now translated into 30 languages, and some of the overseas covers are gorgeous. 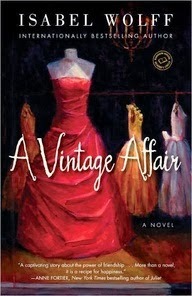 My favourite one is the US cover for A Vintage Affair. My editor at RandomHouse there commissioned a well known painter, Victoria Allen, to do an oil painting of some vintage dresses for it. As you can see from the image it's ravishingly lovely and people always comment on how beautiful it made the novel look. In fact I would say that the most attractive covers I have had have all been for A Vintage Affair - there are a lot of them, because it was translated into 25 languages, and they all feature gorgeous vintage gowns. They're both gorgeous but I admit to loving the UK version the most! In any film of A Vintage Affair I would love Gemma Arterton to play the protagonist, Phoebe. And in 'The Very Picture of You' I'd love the portait painter, Ella, to be played by Michele Dockery, if she could take time off from Downton. If we're talking about classic books and classic films, it's Gone With the Wind. My favourite contemporary novel is the graphic novel, Tamara Drewe, by Posy Simmonds, which was brilliantly filmed with Gemma Arterton in the title role. I am a fan of Gemma's as you can see! I do love Becky Bloomwood, Rachel Walsh, and also some of Wendy Holden's characters, particularly Isabel in her latest novel, Gifted and Talented. Name one author who you think deserves to be better known. E.L. James, definitely... I think there are still about fifty people in the world who haven't heard of her and I think this is a shame. I have absolutely no idea but hopefully someone slimmer, younger and more attractive! Top drink to make you tipsy? Champagne - bubbles help the alcohol go down! Shopaholic or shopadon't? I have become addicted to eBay - especially Celine handbags - vintage ones. Sky high heels or closer to the ground? Closer to ground. High heels do my back in. Cry baby or tough cookie? Cry baby - I blub at everything. Isabel Wolff comes from Warwickshire, read English at Cambridge and was a reporter with the BBC World Service before becoming a full time writer. 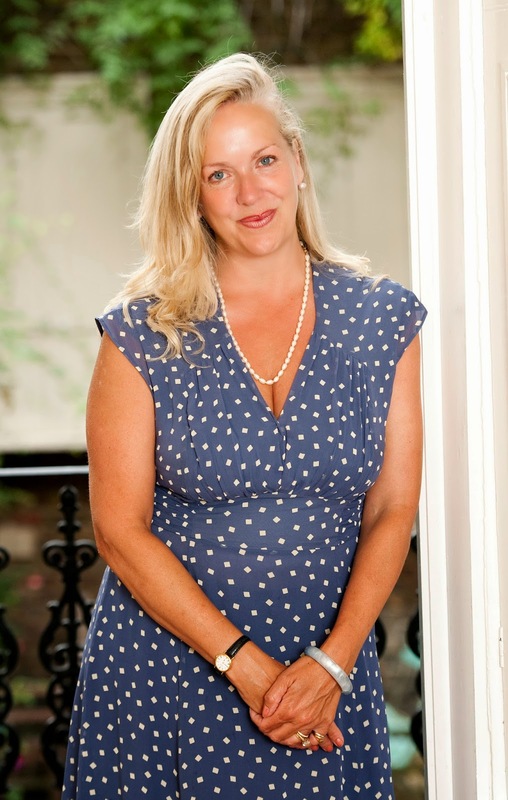 She lives in Notting Hill with her partner, their two children, her younger stepson and a black cocker spaniel puppy.Visit Isabel's website. Get your copy of The Very Picture Of You from Amazon.